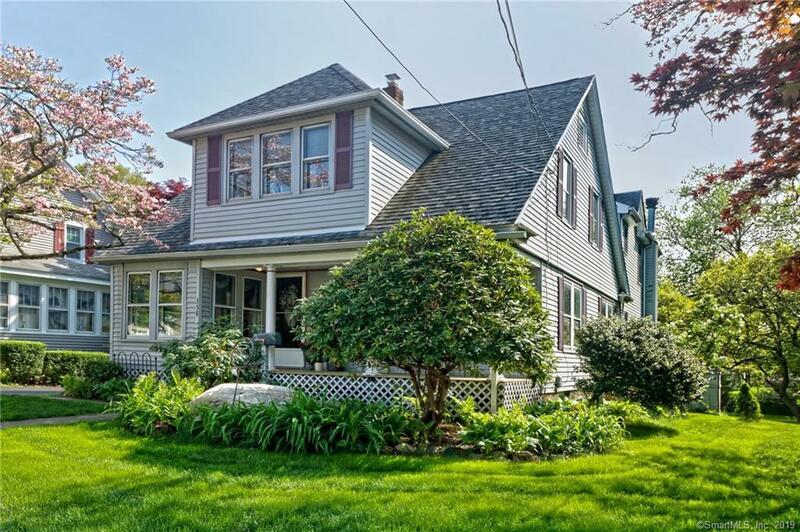 Welcome to this spacious Downtown Milford home with charm and qualities of its original era yet updated for todayâs lifestyle. Over 3600 sq ft, this home was expanded with much care given to retain the original home blending it to the new. A warming welcome starts w/the open porch to the foyer framed in original woodwork, stain glass window & hardwood floors that are found throughout. The sunny formal LR opens to the DR w/built in china cabinet and leads to the updated kitchen. Redesigned in 2012, our kitchen offers plenty of cabinets, granite counters, pantry closet, a breakfast bar & opens to the family room. The family room w/atrium doors to deck & pool, has a stone fireplace & open staircase to the media room w/full bath below. A half bath & separate laundry closet are tucked between the Fam Rm & kitchen for convenience. Upstairs are 4 BRs, central full bath with apron tub & shower & antique vanity base. 2 of the BRs of the original home have hardwood floors & great walk-in closets. The Master Bedroom suite & 3rd bedroom are newer. The Master Suite includes a master bath w/walk in glass and tile shower & antique cabinet base with double vessel sink vanity. The MBR has a sitting area and atrium door opening to private balcony deck to enjoy morning coffee and view of the treed yard. The basement includes ample storage & a workshop. Located in walking distance to Train, to the Green, the Harbor. A wonderful place to call Home!